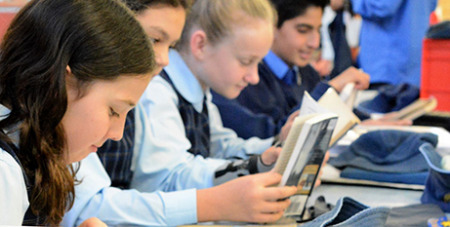 The National Catholic Education Commission (NCEC) has welcomed Labor’s pre-election commitment to boost funding for students with a disability, review NAPLAN and ensure funding support for all school sectors. In a National Press Club address yesterday, shadow education minister Tanya Plibersek said a Labor government would increase funding for students with a disability by $300 million over three years. “The NCEC acknowledges and welcomes Labor’s commitment to encourage high levels of achievement by all students in all school sectors,” NCEC Chairman Greg Crafter said. “To this end, we look forward to working with the Opposition as it develops its policies for the federal election. “The NCEC is particularly interested in discussing Labor’s support to enable Catholic schools to continue operating in all areas of the nation. “On NAPLAN, the NCEC supports its continued use as a diagnostic tool to help identify students needing support with their basic skills and agrees it is prudent to review its effectiveness. Mr Crafter said the NCEC also welcomed Labor’s proposal to increase funding for students with a disability in all school sectors. “It is particularly pleasing that Ms Plibersek recognises the growing numbers of students with a disability being educated by the Catholic schools sector. “Catholic schools educate almost 138,000 students with a disability, which represents 18 per cent of all students in Catholic schools according to the 2018 Nationally Consistent Collection of Data – in line with the proportions in the government and independent school sectors.